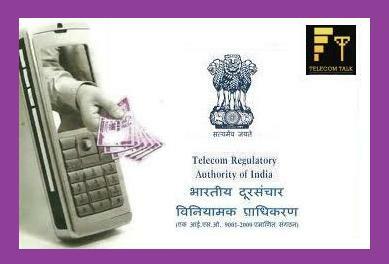 India’s prepaid mobile service subscribers now will have to pay an extra Rs. 1 every time they recharge or Top-Up their prepaid account for more than Rs. 20. This appears to be a setback for more than 90% mobile service users in the county. India’s telecom watchdog Telecom Regulatory Authority of India (TRAI) has today issued amendments to the Telecommunication Tariff Order (TTO) enhancing the ceiling or processing fee from Rs.2 to Rs.3 for certain category of top-up vouchers used by mobile prepaid subscribers for addition of monetary value (talk-time) to their account. (i) Denominations having maximum retail price below Rs.20 -: Rs.2 as ceiling. (ii) Denominations having maximum retail price of Rs.20 or more -: Rs.3 as ceiling. While increasing the processing fee on top-up vouchers the Authority has sought to protect the interests of low end users by excluding the lower denominations of top-up vouchers from the hike. The Authority has also mandated the service providers to ensure availability of Rs.10 denomination as top-up voucher. Earlier through the Union Budget, finance ministry of govt of India has increased service tax (2% more from the existing) on mobile services and now with the increase in processing fee will become another big blow to “price and talk-time conscious” prepaid mobile users in the country. The new order by TRAI comes after telecom operators body COAI (GSM) and AUSPI (CDMA – UAS) made written request to the TRAI that there have been inflationary pressures over the last three years, since the ceiling/processing fee of Rs.2 was prescribed by TRAI.